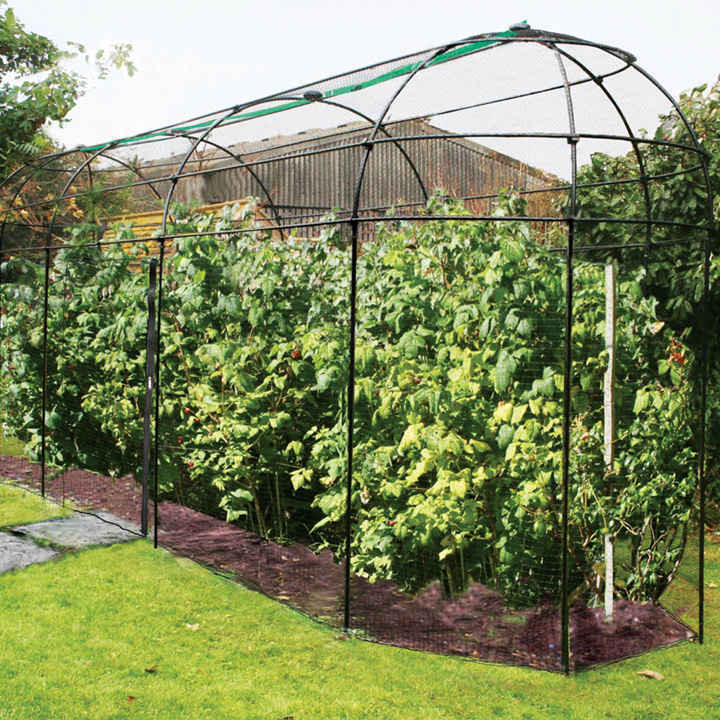 This long narrow fruit cage comes complete with a zip net offering protection from birds and small animals, whilst doubling up as a door. 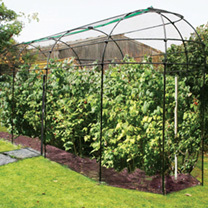 It is constructed from black polymer coated galvanised steel and comes with a 15 year guarantee. Supplied in kit form. Measurements: 1.83m Width; 7.32m Length; 2.44m Height.